We all knew the day was coming when there would be Internet IN our cars. I’m not going to lie, this is pretty amazing. We travel a lot back and forth from Iowa to Minnesota and I’m usually a passenger wishing that I had Internet so I could work while I sat in the car for FOUR hours! Just imagine how much I could get done! My boys would think it’s pretty awesome, too.They have so many games that they need Internet to play so they would be in heaven! Chevrolet is coming out with built in 4G LTE Wi-Fi in their cars! Seriously, did you not just squeal a little when you read that? I sure did when I read it and immediately told my hubby that we needed a new car. The 4G LTE Wi-Fi is already available in the 2015 Impala and 2015 Malibu and is soon coming to these other vehicle models: 2015 Spark, 2015 Sonic, 2015 Cruze, 2015 Volt, 2015 SS, 2015 Corvette, 2015 Trax, 2015 Equinox, 2015 Tahoe, 2015 Suburban, 2015 Colorado and the 2015 Silverado. You can find more information about the New Chevrolet 4G LTE Wi-Fi on their website. Be sure to stop by and check out the details for yourself! Not only would our road trips to visit family become a lot less boring of a ride, but planning longer vacations just became more interesting too. I swore I would never drive back to Orlando (a 23-hour drive) until we came up with a better way to keep the car organized on the trip AND I had Internet the ENTIRE way! Looks like it’s a possibility now! I even found a bunch of car organization ideas so when I buy my shiny new Chevy, I’m ready to keep it looking good. Check out the ideas I found below! Organize Your Fast Food from Lookie What I Did! A Organized Car from The Shafer Family. Glove Box Organization from Confetti and The Other Fun. Car Snack Box from Harvest Moon By Hand. 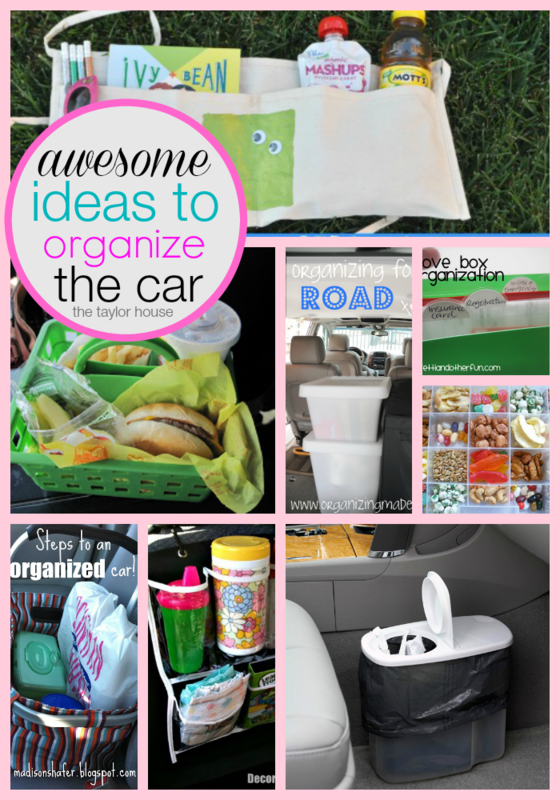 Car Organization Ideas from Smart School House. Car Organizing from I Heart Organizing. Easy Car Organizer for Kids from My Frugal Adventures. Car Trash Can from BH&G. Road Trip Packing from Organizing Made Fun. Inexpensive Car Organizer from Dollar Store Mom. This is awesome! Pity I don’t need a new car right now but if I ever do I now know exactly what I want to get. Wifi in the car makes family travel a lot easier… no chants of “Are we there yet? !” from the backseat! Thanks for stopping by Tami! Now this is something everyone would love – its convenient! Thanks for stopping by Aisha! With Wifi now added to all its other great features, we may just be able to move into our cars one day soon! Lois, I wouldn’t doubt it if our cars are livable in the future. Thanks for stopping by! That is so cool! I have never heard of wifi in cars before but it is so brilliant! It makes travel time very productive to say the least! Thanks for stopping by Alexandra! Great ideas! We need all the help we can get when it comes to traveling. This car makes traveling a breeze Heather! Thanks for stopping by! I definitely need all these car organization ideas. My car seems to get messy as soon as the family gets in. I also NEED a car with WiFi. How cool is that? My car definitely needs to be organized. Any volunteers to help me? Amber if you find any volunteers can you send them this way when they are finished at your place? 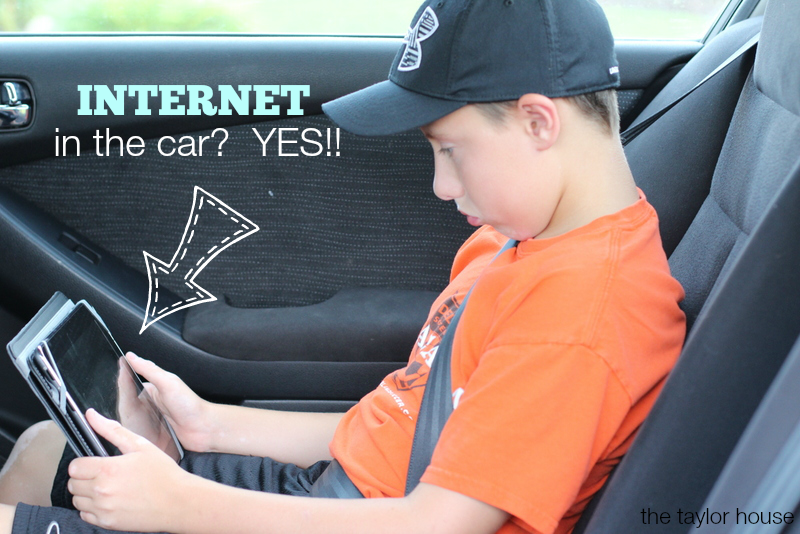 Internet in the car?! YES PLEASE AND THANK YOU! Way to go Chevy! I’m loving ALL of those car organization ideas. I need the help! Thanks! Wifi is cars is an amazing feature isn’t it? I have my iPad that I can use while my Hubs is driving. Makes the time go much faster. We saw a commercial that Chevy has wi-fi now and my kids are nagging me to go out and buy a new car. LOL. That is awesome! What an innovative idea. We love Chevy. We just bought a new Traverse and couldn’t be happier with our purchase. we have 4g on our cellphones but some times we hit dead zones and the netflix and games and blogging has to be put on hold until we get home or a place with wifi. I think it’s great safty feature as well for those times our cell phones dye and we need help or just to find the nearest rest stop with out having to input into our phones or gps and waiting for those awful loading times. This is great were going to be looking at a new car or a used car or a new to us car when tax time comes but would only have 4000 to play with no where near the cost of this car. sadly but maybe there are payment plans we can look into. This would seriously make me a happy lady gotta show my hubby.